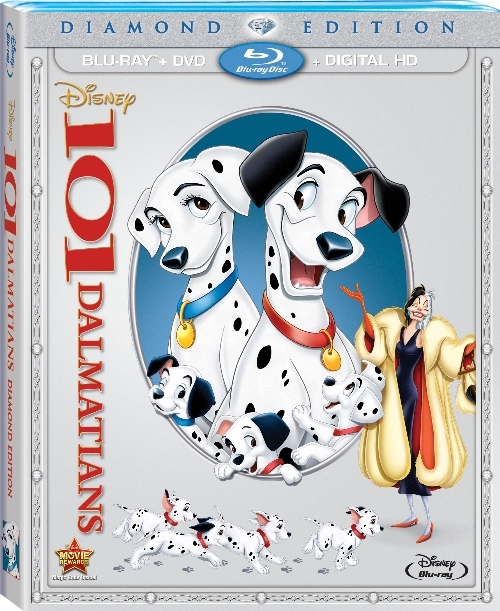 101 Dalmatians Diamond Edition Review - Are You Screening? Disney’s Diamond Edition releases have been brilliant additions to your collection, and the 101 Dalmatians Diamond Edition is no different. A film that not only stands up, and is one of the most treasured Disney films, but one that provided a serious boost to Disney when it needed it most, 101 Dalmatians is a must own. The film needs no introduction, nor does its love-to-hate villain, but it must be noted that this is one of the earliest Disney films that kids today still really fall in love with. I’m using my own, small focus group there, but whereas there is some appreciation for pre-1960 Disney films, they aren’t generally titles that are the subject of the, “Can we! Can we!” dance. Not so with 101 Dalmatians, which still pulls kids of a wide range of ages in. The real question here is the bonus content of a new release, and the “out of the vault” status, for those who don’t own a version already. The only other question might be the video/audio quality, though Disney releases are usually safe bets here. The video is superb, with the potential caveat that the animation process from the beginning on this film was apparently a new, and unique, effort which involved Xerox, and the happy selection of massive quantities of black-and-white filling the screen. The movie is famous for a great animation style, and it is a somewhat dazzling style. The video looks good here, with nothing that stands out as a problem, even for the nit-pickiest. The bonuses are solid as well, and make this one a worthwhile purchase. It’s a release that, and I don’t say this often, is just a lot of fun. Starting with the least spectacular, you can watch the film with DisneyView, which is actually very cool, but not “super bonusey,” and is just the ability to watch the movie with the frame filled up with pictures as opposed to black space. The kids like it. Next, Dalmatians 101, is a short featurette with Jessie’s Cameron Boyce (who is in the upcoming Descendants – a sort of “lets run with the popularity of Ever After High” vehicle) giving some interesting facts about 101 Dalmatians in a very kid-friendly format. Lucky Dogs is about ten-minutes of people who worked on the film, including several animators, recounting their experience working on the film, and working for Disney in general. This is a good feature, though not interesting for the kids, and lets you in on the story about using Xerox to save money, which the company sorely needed to do at the time. The Further Adventures of Thunderbolt (see video below) is exactly what the name implies, and for fans of the film, this one is a real treat. It’s just a short addition, but it’s the kind of bonus that really shows an understanding of fans, and how to put in new content that is seriously cool. The Best Doggoned Dog in the World isn’t new content, but it’s a great addition. 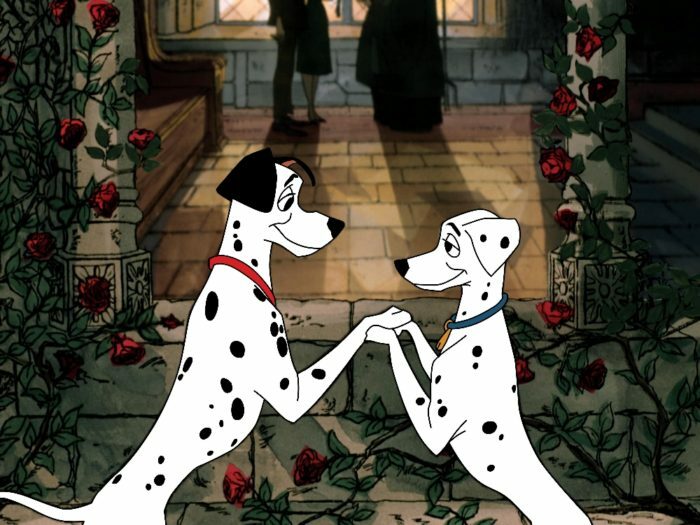 It’s an episode of The Wonderful World of Disney from the year of release, and shows off Dalmatians in all their glory… and basically tries to sell you on the film. These really were fantastic shows, and it’s a bit surprising that Disney hasn’t tried to throw you an update of the idea. This is the full, nearly 60-minute episode. Beyond these, the bonus features have been part of previous releases (which includes a Platinum release, so you figure there is a nice selection). There are several Making Of featurettes, and instead of one long effort, these are broken down into specific points of interest that are only a few minutes long. There’s also the usual selection of trailers, TV spots, and the not-so-usual radio ads. Along with a music video by Selena Gomez, who performs “Cruella de Vil,” you also get some deleted songs that didn’t make it into the movie. Finally, you get a featurette on Cruella herself, and a special bonus, Sincerely Yours, Walt Disney. This last is a very cool addition, previously released, as mentioned, that showcases the correspondence between Disney and author Dodie Smith. A kind of anti-Saving Mr. Banks, in short form, this is worth a look. Put it all together, and this is a release that I highly recommend buying two or three copies of, because if you don’t know who you’re giving it to right now, you will before long… but it’s bound to be just after it goes back in the vault. Check below for some clips and other cool stuff to help you remember just how cool this one is. Pick your favorite spot to watch—anytime and anywhere—and get ready for a fun-filled adventure with the Diamond Edition of 101 Dalmatians! 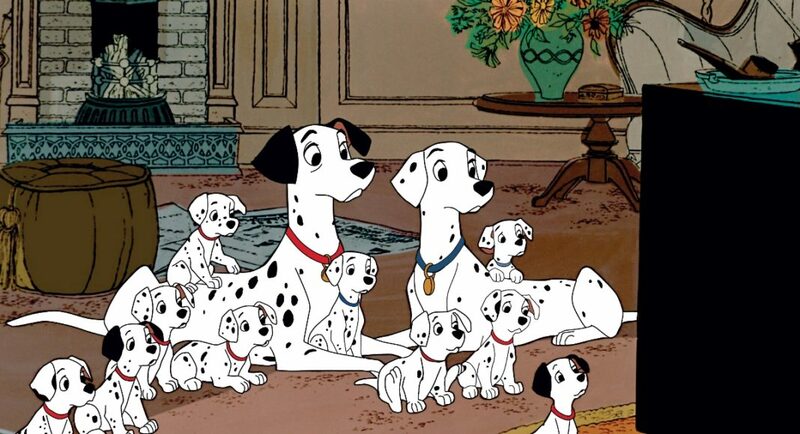 Pongo, Perdita and their super-adorable puppies are in for thrills, hilarious spills and an epic action-packed adventure when they face off with Cruella De Vil, Disney’s most fabulously outrageous villainess. When Cruella dognaps all of the Dalmatian puppies in London, brave animal heroes launch a daring plan to save all puppies from Cruella’s clutches! 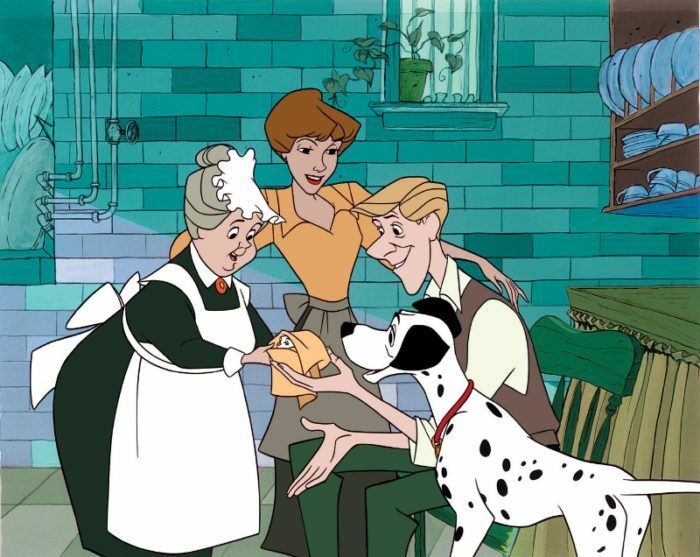 Unleash all the excitement and suspense of Disney’s 101 Dalmatians, a beloved classic you’ll want to share with your family again and again!